With a cosy interior and warm, friendly service, this homely little joint is brimming with pure suburban Americana. This all extends to their boss-like mac ‘n’ cheese ($90), which is a huge, gooey five-cheese cacophony of gastronomic euphoria. With an added $25 you can take things to catatonic levels with chunks of delicious honey ham. Wash down all the cheesy goodness with some of the awesome American craft beers they have on the menu. 6 Ying Wa Terrace, 52 Centre St, Sai Ying Pun, 2858 0005;awakeningcafehk.com. This classic American venue serves up a delicious, authentic Bostonian mac ‘n’ cheese with the added twist of porcini mushrooms ($74). As you enter, you’ll feel as though you’re walking straight into some prohibition-era swing club with the pressed white table clothes, cylindrically-arranged napkins and retro carpeting. The mac itself is divine, and if paired with a couple of glasses of vino, will take you to cloud nine. Lower Lobby, Langham Hotel, 8 Peking Rd, Tsim Sha Tsui, 2132 7898; hongkong.langhamhotels.com. A more contemporary space which serves up its own interpretations of the classics we all know and love. 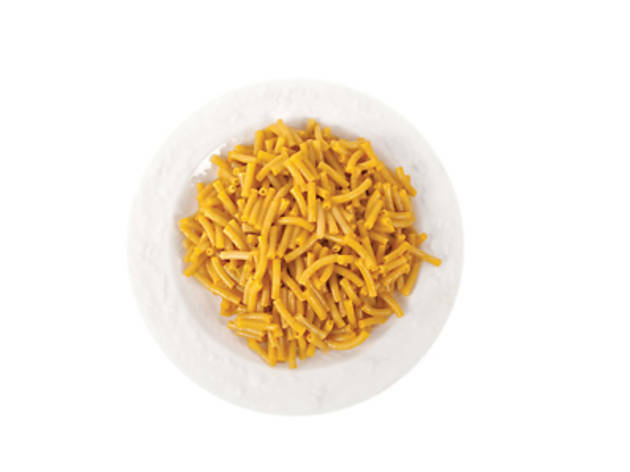 Their mac ‘n’ cheese ($100) ingeniously comes with an egg yolk which is a simple yet masterful stroke, taking this already-brilliant dish to new giddy heights. This variant of the dish is more for the flavour connoisseur though, as it has a slightly higher price tag and a more elegant presentation. Served up in cool surroundings with erudite drinks, you’d be wondering why this was ever a guilty pleasure. 69 Stone Nullah Lane, Wan Chai, 3182 0128; stonenullahtavern.com. Buffalo mozzarella, gruyère, parmesan, gouda and breadcrumbs come dolloped on this classical mac ‘n’ cheese version ($98); nothing else needs to be said really. Common Room offers a chilled, spacious and decidedly contemporary surrounding for you to enjoy the cheesy bowl of joy. Mmmm. Get some sweet potato fries on the side, if you need just a little bit more loving in your stomach. The best thing about the venue is that it’s a lively, busy yet laid back environment very reminiscent of those joyous latter school days when you didn’t have to worry about watching calories. 1/F, 8-13 Wo On Ln, Wo On Bldg, Central, 2525 3599; common-room.hk. Seeking to create a slice of homely, honest culinary respite in the shadow of the IFC and one of the world’s busiest financial districts, this is a great spot to sit out for a bite and detach yourself, if only for a while, from all the chaos and comings and goings around you. While the mac itself is only available as a side ($58) and is by no means massive, they make it with chorizo, which is a match made in heaven. If one's not enough – which it won’t be – get five. 2 Exchange Square, 8 Connaught Pl, Central, 2810 8400; lex.hk. 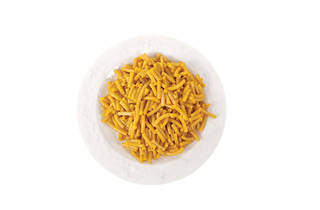 JAR (Just-A-Restaurant) has a supreme mac ($98) with four varieties of cheese tucked away in their brunch menu. With its delicate décor and exposed brick walls, it is the perfect place to indulge in warming, hearty dishes such as this. Touted as ‘contemporary comfort food’, JAR’s menu lives up to the claim with ease. Baked to perfection and generously portioned, this dish comes out with the kind of loving glow that you would usually attribute to home-style cooking. 2/F, 8 Lyndhurst Tce, Central, 2543 8000;justarestaurant.com.